Ichiya's spacious dining room is definitely a cut above your average beer bar, with stylish modern decor, comfortable seating and an invigorating musical soundtrack. 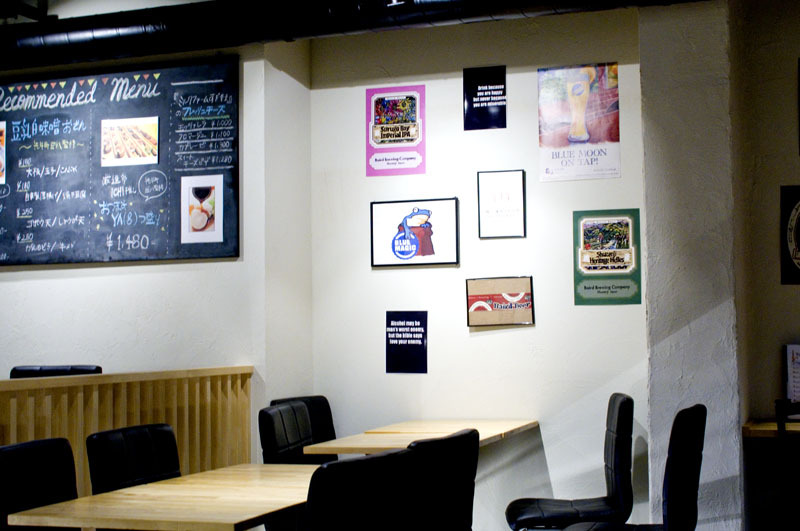 Launched in August 2016 by Kyoto's Ichijoji Brewery, the bar serves excellent food and very reasonably priced craft beers in the heart of downtown Kyoto. The highlight of the food menu is a beautifully presented eight-item otsumami platter, designed in cooperation with a local kaiseki restaurant. The same restaurant also helped with the bar's fancy oden menu - deluxe versions of fish cakes and tofu-based morsels simmered in a soy-milk and miso broth. More standard bar fare like sausages and fish and chips rounds out the food offerings. 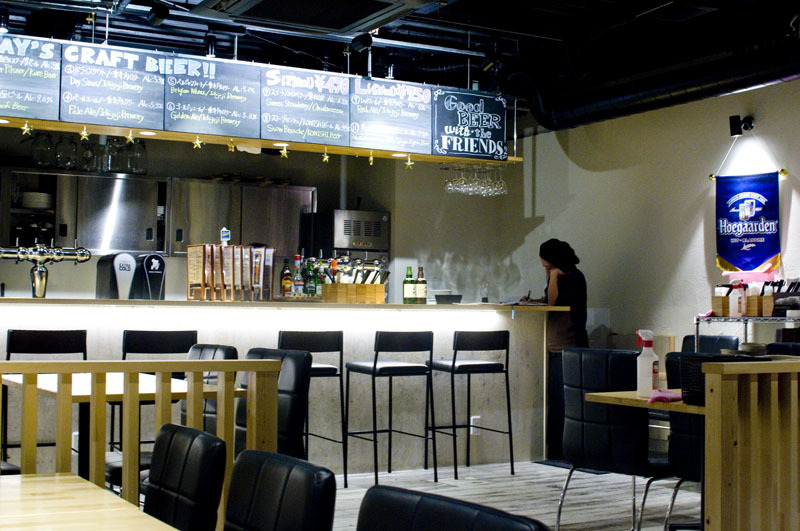 The bar's ten taps dispense four beers from Ichijoji along with six guest beers, generally from other Japanese breweries. Beers are very competitively priced at Y470 and Y750 for small and large sizes (270ml and 420ml). 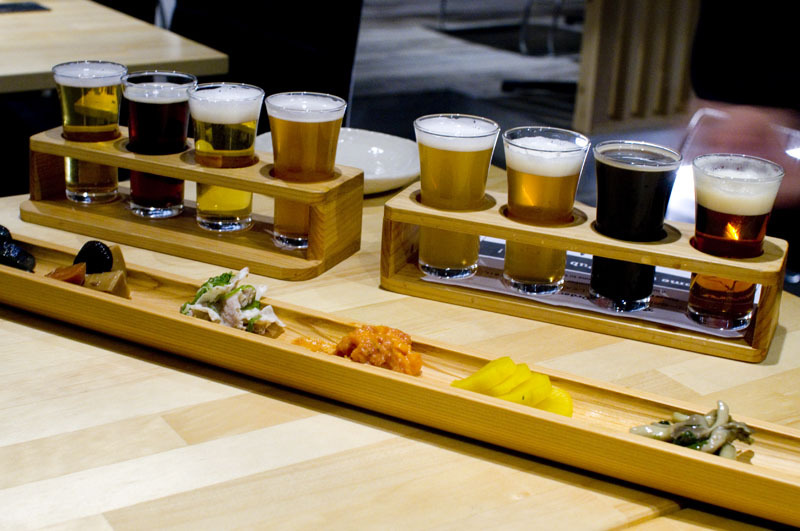 If you're unfamiliar with the selection, four-part tasting flights with your choice of beers (Y1000) are a good way to explore the list. Funayacho 384, Casa Inos 1F.